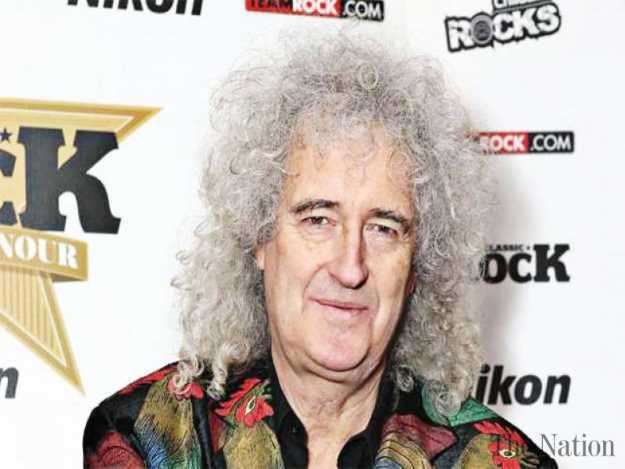 LOS ANGELES-Queen guitarist Brian May is to drop his first solo since in 20 years on New Year's Day with a song featuring the late physicist Stephen Hawking. Brian May is to release his first solo single in 20 years - from NASA's Control Centre. The Queen guitarist is to drop track 'New Horizons', which will feature words spoken by the late physicist Stephen Hawking - who died in March aged 76 - on New Year's Day in tribute to NASA's New Horizons mission, which is due to complete the most distant ever flyby in space history. He said: "This project has energised me in a new way. "For me it's been an exciting challenge to bring two sides of my life together - Astronomy and Music. "It was Alan Stern, the Project Instigator of this amazing NASA Mission, who threw down the glove last May. "He asked if I could come up with a theme for Ultima Thule which could be played as the NH probe reached this new destination." The New Horizons probe is due to fly by the Ultima Thule - a traditional name of distant places beyond the known world - 6.5 billion km from Earth on January 1st, to take a series of pictures and other data. Brian added: "I was inspired by the idea that this is the furthest that the Hand of Man has ever reached - it will be by far the most distant object we have ever seen at close quarters, through the images which the space craft will beam back to Earth. "To me it epitomises the human spirit's unceasing desire to understand the Universe we inhabit. "Everyone who has devoted so much energy to this mission since its launch in January 2006 will be feeling they are actually inside that small but intrepid vehicle - only about the size of a grand piano - as it pulls off another spectacular close encounter. "And through the vehicle's 'eyes' we will begin to learn, for the very first time, what a Kuiper Belt Object is made of. And pick up precious clues about how our solar system was born."